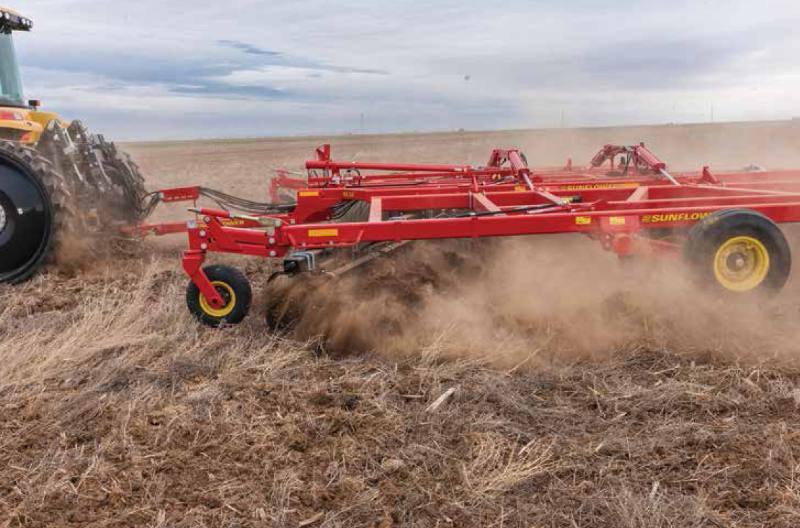 The new 1700 series offset disc harrows take weight and strength dimensions to a new level. Equipped with rigid or spring-cushioned gangs - with 5/16” thick plain or notched disc blades., available in 28” or 30”diameters. The blade spacings are 11” or 13” depending on the model, and all the gangs are supported by 1 15/16” gang shafts. Available in cutting widths from 11’ to 24’ 11”.